We encourage you to read the Private Policy page. Our customers’ satisfaction is very important to us. The following terms belong to all areas of the Kettlebell Kickboxing™ website, the Kettlebell Kickboxing™ Scorher Series DVD and the entire brand. By using this website, the DVDs and all Kettlebell Kickboxing ™ Services you agree to be bound by these terms and conditions. If you are under 18 years of age you MUST use this site and all Andersons Martial Arts Academy; AMAA, Inc and Martial Arts University, LLC products and services only with the involvement of your parent or guardian. The Sites and the Services are not intended for children under the age of 13 and children under 13 should NOT use the Sites or the Services. By using our website and all serves you are verifying that you are over the age of 13. When purchasing and registering for our products you are verifying that you are over the age of 18. Any and all products and services sold by Andersons Martial Arts Academy are intended for personal use only, and may not be resold, licensed, rented, or retaught or used for any commercial purposes whatsoever unless you have had direct permission from Andersons Martial Arts Academy. We may make available through the Site or through other Web sites sample and actual forms, checklists, waivers, and instructional documents (collectively, “Documents”). All Documents are provided on a non-exclusive license basis only for your personal use for non-commercial purposes, without any right to re-license, sublicense, distribute, assign or transfer such license. Documents are provided for a charge and without any representations or warranties, express or implied, as to their suitability, legal effect, completeness, currentness, accuracy, and/or appropriateness. The Documents are provided “as is”, “as available”, and with “all faults”, and we and any provider of the Documents disclaim any warranties, including but not limited to the warranties of merchantability and fitness for a particular purpose. The Documents may be inappropriate for your particular circumstances. While we offer fitness, health and nutrition advise on this website please note that: YOU SHOULD NOT RELY ON THIS INFORMATION AS A SUBSTITUTE FOR PROFESSIONAL MEDICAL ADVICE, DIAGNOSIS OR TREATMENT. IF YOU HAVE ANY CONCERNS OR QUESTIONS ABOUT YOUR HEALTH OR THE CONTENT ON THE SITES OR SERVICES, YOU SHOULD ALWAYS CONSULT WITH A PHYSICIAN. DO NOT DISREGARD, AVOID OR DELAY OBTAINING MEDICAL OR HEALTH RELATED ADVICE FROM YOUR HEALTH-CARE PROFESSIONAL BECAUSE OF SOMETHING YOU MAY HAVE READ ON THE SITE OR THROUGH THE SERVICES. THE USE OF ANY INFORMATION PROVIDED ON THE SITES OR THROUGH THE SERVICES IS SOLELY AT YOUR OWN RISK. IF YOU HAVE ANY MEDICAL/ PHYSICAL CONDITIONS THAT MIGHT AFFECT YOU TO TRAIN, PLEASE CONSULT YOUR PHYSICIAN BEFORE TAKING UP THIS FITNESS ROUTINE. If you rely on any of the information provided by this Site, at our facility, at any of our events or seminars, on our social network sites and on our DVDs, our employees, or guests or visitors to the Sites, you do so solely at your own risk. Similarly, results vary with every individual and everyone is different. Kettlebell Kickboxing™ attempts to be as accurate as possible with our studies, claims and results. However, Kettlebell Kickboxing™ does not warrant that product descriptions or other content of this site are accurate, complete, reliable, current, or error-free. If a product offered by Kettlebell Kickboxing™ itself is not as described, your sole remedy is to return it. 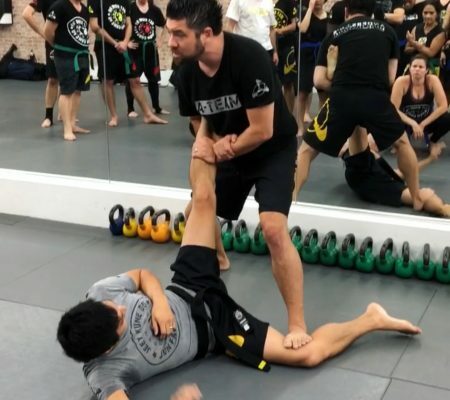 Similarly, when training with any Certified Andersons Martial Arts Academy please note that we are NO LONGER liable for any claims he or she might make regarding results. Please use your own discretion when choosing your facility and workout program. THIS SITE, THE DVDS, VIDEOS, SOCIAL MEDIA EDUCATION and ANY Certified Andersons Martial Arts Academy instructors AS WELL AS ALL INFORMATION, CONTENT, MATERIALS, PRODUCTS, AND SERVICES INCLUDED ON OR OTHERWISE MADE AVAILABLE TO YOU THROUGH THIS SITE ARE PROVIDED BY KETTLEBELL KICKBOXING ™ ON AN “AS IS” AND “AS AVAILABLE” BASIS, UNLESS OTHERWISE SPECIFIED IN WRITING. KETTLEBELL KICKBOXING ™ MAKES NO REPRESENTATIONS OR WARRANTIES OF ANY KIND, EXPRESS OR IMPLIED, AS TO THE OPERATION OF THIS SITE OR THE INFORMATION, CONTENT, MATERIALS, PRODUCTS, OR SERVICES INCLUDED ON OR OTHERWISE MADE AVAILABLE TO YOU THROUGH THIS SITE, UNLESS OTHERWISE SPECIFIED IN WRITING. YOU EXPRESSLY AGREE THAT YOUR USE OF THIS SITE IS AT YOUR SOLE RISK. You agree to indemnify, defend and hold Andersons Martial Arts Academy , all subsidiaries, all affiliates, all officers, all directors, all agents, all co-branders or other partners, employees and representatives harmless from and against any and all claims, damages, losses, costs or expenses (including reasonable attorneys’ fees and disbursements). Andersons Martial Arts Academy makes no representation or warranty that the content and materials on the Sites or the Services are appropriate or available for use in locations outside the United States. Those who access the site or purchase the product outside the United states do so at their own responsibility and risk. We are NOT responsible for any KBIA Instructors teaching in their own Kettlebell Kickboxing ™ facilities, offering Kettlebell Kickboxing ™ private training, or group fitness through another facility. Every instructor should have their own Liability information and waiver. Again we have nothing to do with Kettlebell Kickboxing ™ instructors outside of our flagship NYC location. We are NOT responsible for any Certified Andersons Martial Arts Academy offering instruction of any sort outside of our Academy. You can not use any of our material, designs or content with our permission. All Site materials, including, without limitation, Andersons Martial Arts Academy, AMAA, INC, Martial Arts University, LLC, Kettlebell Kickboxing™ , Kettlebell Kickboxing™ LLC, Scorcher Series LLC, and all Kettlebell Kickboxing™ product logos, design, text, graphics, software, other files, and the selection and arrangement thereof (the “Content”) are Copyright © 2012 Kettlebell Kickboxing™ , LLC. ALL RIGHTS RESERVED. Andersons Martial Arts Academy, AMAA, INC, Martial Arts University, LLC, Kettlebell Kickboxing™ or its suppliers or licensors own and retain other proprietary rights in all products available through the Site. None of the Content may be copied, modified, reproduced, distributed, republished, downloaded, performed, displayed, posted, transmitted, sold, or made into derivative works in any form or by any means, including, but not limited to, electronic, mechanical, photocopying, recording, or otherwise, without the prior written permission of Kettlebell Kickboxing™. You also may not sell, resell, or make commercial use of the Site, its content, or services or products obtained through the Site. You may not make derivative uses of the Site or its Content. You CAN however: print out the material from our site for personal use ONLY. Trademarks: Together with other logos and product names described on this Site, the following are trademarks or registered trademarks of Andersons Martial Arts Academy, AMAA, INC, Martial Arts University, LLC, Kettlebell Kickboxing LLC, in the United States and other countries: Andersons Martial Arts Academy, AMAA, INC, Martial Arts University, LLC, Kettlebell Kickboxing™, Kettlebell Kickboxing™ Scorcher Series DVD, KBIA Instructor Certifications. In addition, all page headers, custom graphics, button icons, and scripts are service marks, trademarks, and/or trade dress of Kettlebell Kickboxing™, and may not be copied, imitated, or used, in whole or in part, without the prior written permission Andersons Martial Arts Academy, AMAA, INC, Martial Arts University, LLC, Kettlebell Kickboxing™. 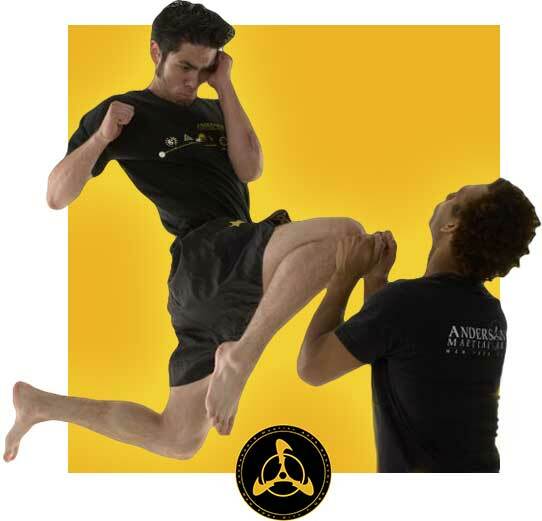 WHO MAY USE THE ANDERSONS MARTIAL ARTS, AMAA Inc, MARTIAL ARTS UNIVERSITY, KETTLEBELL KICKBOXING™ TRADEMARK AND LOGOS? Only those licensed by Andersons Martial Arts Academy, AMAA, INC, Martial Arts University, LLC,, Kettlebell Kickboxing™ LLC have the rights to use the Kettlebell Kickboxing™ Trademarks, Trademark moves, logos, images, posts, and any other Kettlebell Kickboxing™ DVD, web and class content. Current, Certified KBIA instructors are licesened to use Kettlebell Kickboxing™ materials, with the understanding that they must renew once a year. If you have purchased any of our products, videos or courses, or physical classes payment must be received by Martial Arts University, LLC, Andersons Martial Arts Academy , AMAA, INC, Kettlebell Kickboxing™ before we accept your oder. Kettlebell Kickboxing™ may cancel or limit an order any time after it has been placed. If payment has already been made and your order is cancelled or limited. You also agree that you are over the age of 13. When ordering products or singing u for any services through Martial Arts University, LLC, Andersons Martial Arts Academy , AMAA, INC, Kettlebell Kickboxing ™, including our DVD products, KBIA certifications, class sign ups and Newsletter sign- ups you agree to provide true billing, email, shipping and contact information that belongs to you. Martial Arts University, LLC, Andersons Martial Arts Academy , AMAA, INC, Kettlebell Kickboxing™ is not responsible for false information provided by a customer or client. Martial Arts University, LLC, Andersons Martial Arts Academy , AMAA, INC guarantees your satisfaction with art and content proofs. If you are not satisfied, we will refund the entire deposit amount if you elect to cancel the project. However, once proofs are approved you will be charged for all work and services performed, even if the project is subsequently cancelled. All custom-manufactured and/or printed products are unconditionally guaranteed against defects in quality and workmanship. If any custom-manufactured product produced by Unified Manufacturing from or through the use of materials is found to be defective in quality, or is shipped or labelled in error, we will replace or repair defective product and/or correct any error in shipment or labeling at its own expense or, at Unified’s option, refund to you part or all of the purchase paid on the condition that a.) written notice of such defect or error is received at our office within thirty (30) days after product ships to you, and b.) the defect or error did not result from a defect or error in the materials you or your representative/s supplied. If notice is not received within thirty (30) days after shipment, Unified Manufacturing shall be released from any and all liability. If applies; you agree to return any defective product to Martial Arts University, LLC, Andersons Martial Arts Academy , AMAA, INC upon request. No merchandise may be returned to our office without written return authorization from us. Prior to returning any product, you must obtain an RMA (return merchandise authorization) number from Unified. The RMA number must appear on the address label. Unified Manufacturing reserves the right to refuse delivery of any item returned without an RMA number. Product reruns or purchase price refunds will be prorated based on the quantity of defective merchandise returned. We is not responsible for any loss of revenue or profit or other financial damages of any kind whatsoever, whether direct or indirect, suffered by you for any reason whatsoever. Prices quoted in our catalog do not include shipping. Most orders ship via 2-day service at standard ground rates. Rates vary depending on the items. Unified Manufacturing is not responsible for loss or damage to the product. If there is damage or loss, contact the shipping company. Martial Arts University, LLC, Andersons Martial Arts Academy , AMAA, INC shipping is digital only. If you use this site, and have a log in information created for you as a user profile, you are responsible for maintaining the confidentiality of your account and password and for restricting access to your computer, and you agree to accept responsibility for all activities that occur under your account or password. If you are under 18, you may use KettlebellKickboxing.com only with involvement of a parent or guardian. 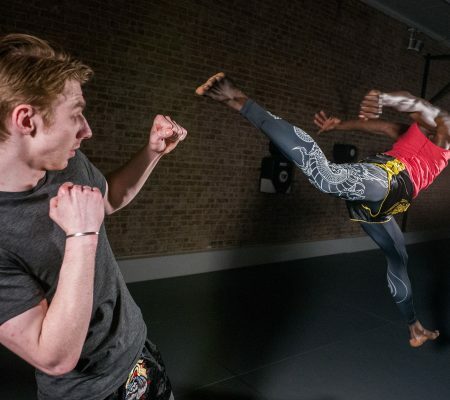 Martial Arts University, LLC, Andersons Martial Arts Academy , AMAA, INC, Kettlebell Kickboxing ™ reserves the right to refuse service, terminate accounts, remove or edit content, or cancel orders in their sole discretion.